The original Tony Hawk's Pro Skater is a game that many people remember fondly. Sure, it may not be the perfect skateboarding game, but it definitely nailed the fun of the sport to the point that it's now considered a classic. 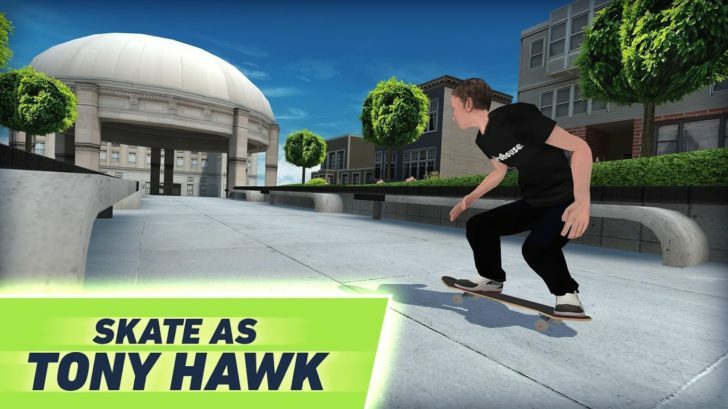 This is why I'm sure more than a few of you will be excited to hear an official Tony Hawk skateboarding game is coming to Android. It's called Tony Hawk's Skate Jam, and it just popped up on the Play Store for pre-registration. Tony Hawk's Skate Jam comes from Maple Media, a publisher that already has a history with mobile skateboarding games, such as Mike V: Skateboard Party (developed by Ratrod Studio). While I can't say the monetization of those games is the best, reviews are mostly positive. 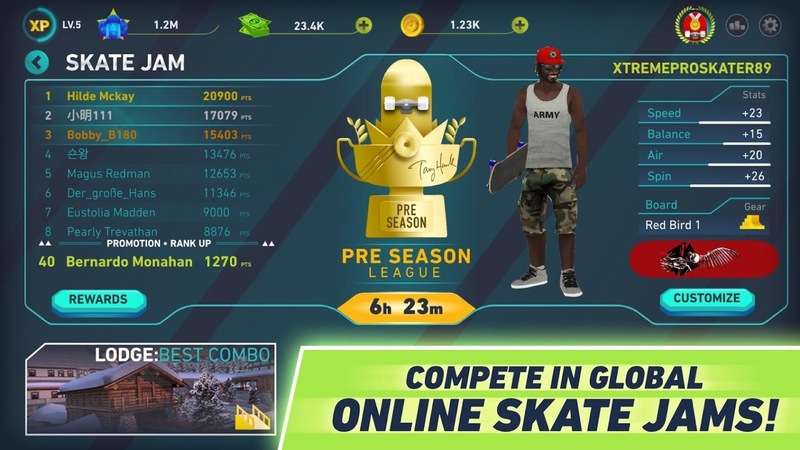 So it would at least appear this upcoming release is in the hands of those who understand how to make an enjoyable mobile skateboarding game. So far we know Tony Hawk's Skate Jam will feature a career mode, as well as global tournaments. 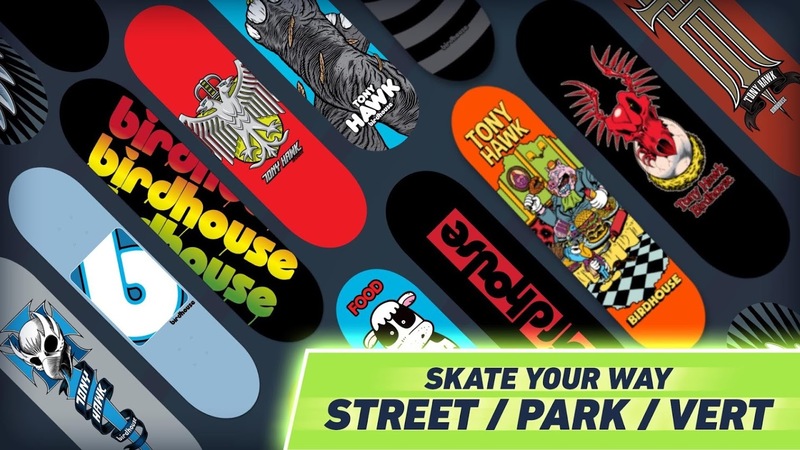 You'll be able to try your skills in street, vert, and skatepark environments, plus there will be a bunch of Birdhouse-branded skateboards available for in-game collection. There's no word how the title will be monetized just yet, though the Play Store makes it clear advertisements will be included with the download when it eventually goes live. The game's Twitter bio also mentions that this will be a free release, and if you take a look at the screenshots below, you will notice multiple currencies in the left-most pic, so it's probably safe to assume this will be a free-to-play release with more than a few in-app purchases included. So there you have it. Details are still pretty thin, but at least those that are interested can pre-register on the Play Store to be notified when the game releases. You can also register for early access on the official Skate Jam website. 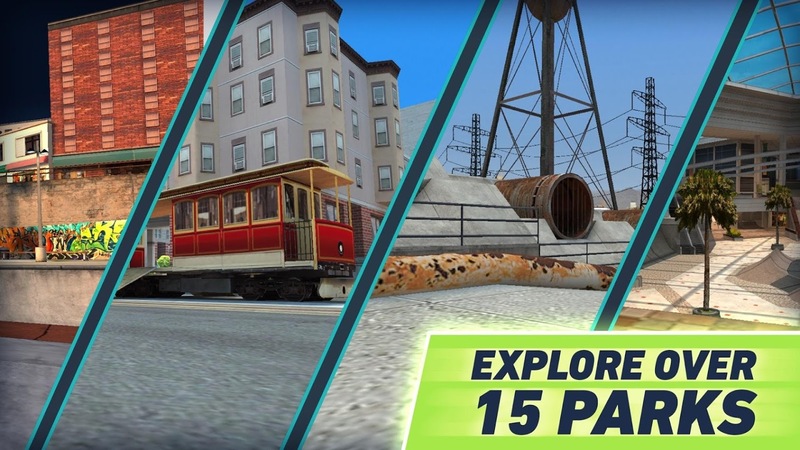 While I doubt Tony Hawk's Skate Jam will stack up to the original Pro Skater, there could still be a few elements worth exploring once this title officially releases. I suppose we will just have to wait and see how it all turns out.